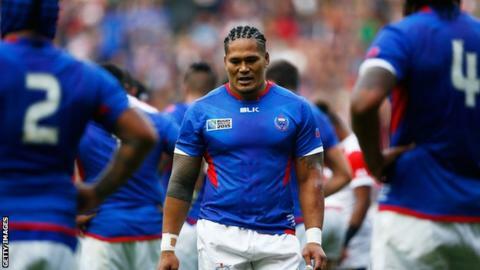 Samoa wing Alesana Tuilagi will miss Saturday's World Cup meeting with Scotland after being suspended for five weeks for an act of foul play. The 34-year-old Newcastle Falcons back struck Japan's Harumichi Tatekawa with his knee in the second minute of Samoa's Pool B defeat at the weekend. Samoa have confirmed that they will appeal against the punishment however. A win against the Pacific Islanders, who are already eliminated, will take the Scots into the quarter-finals. Tuilagi will also miss Newcastle's first four English Premiership games. Falcons face Gloucester, Northampton, Exeter and Worcester before he is free to play on 10 November.